The year 1905 was a highlight in the life of Pastor J. F. Noack (1876-1958). Before this date, he had been born in 1876 at Peters Hill near Riverton in South Australia. He had moved with his parents first to McKenzie Creek near Horsham and then, in July 1892, to Hopevale located east of Rainbow in Victoria’s Mallee Region. His parents were Friedrich and Christiane (nee Domaschenz) Noack. 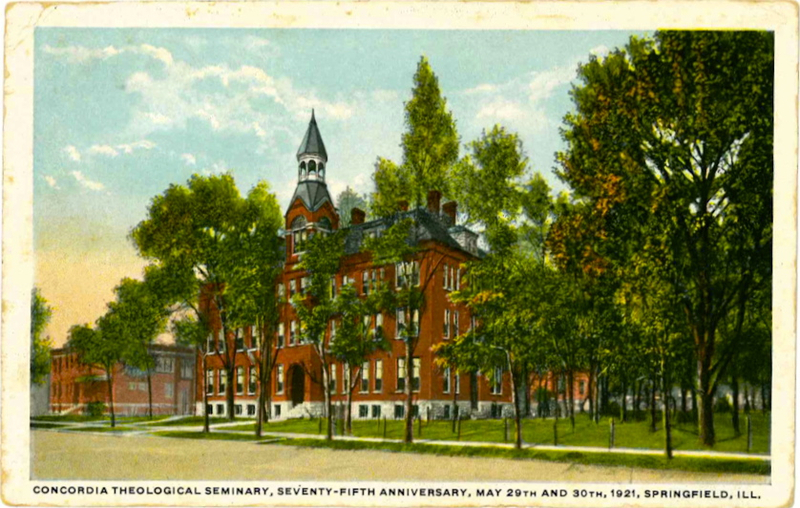 After a good grain harvest in the late 1890s, “Fritz” Noack enrolled at Concordia College in Springfield Illinois, where he studied Christian Theology. After this 1905 date, he spent nearly all of his working life as the Lutheran Pastor at Natimuk, located in Victoria’s Wimmera region. Between these two parts of his life was his return trip from Springfield in USA to Victoria, Australia in 1905. During this journey home, he planned visits to many countries and regions of Europe, Africa and Asia. His way of keeping these memories alive was to record the events and sights in a detailed daily diary and to purchase about 650 colourful postcards from these countries and regions. These regions include Hannover, Hesse, Brandenburg, Lusatia, Thuringia, Rhineland, Italy, Egypt, Arabia, and Ceylon. The postcards from this tour are now housed in the Lutheran Archives in Adelaide. They have all been scanned and can now be inspected on a computer. The diary has since disappeared but these postcards reveal the educational benefits, the entertainment value and the enriching experiences gained by Fritz, including his visit to the homeland of his Wendish Noack, Domaschenz and Borrack ancestors, where he met some of his relatives. Fritz’s three full albums of postcards, which he collected, reveal many highlights, which he experienced. 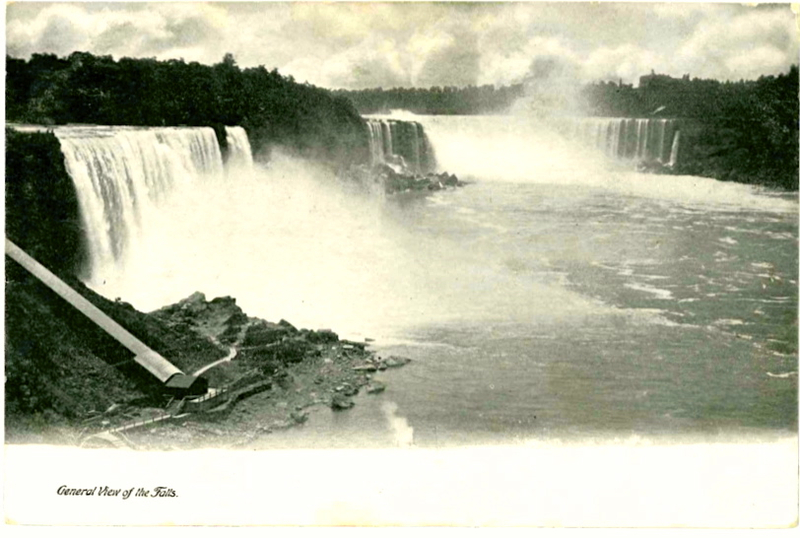 We can inspect his Concordia College at Springfield, Illinois in North America and the spectacular waterfalls, including the Niagra, the Horseshoe and the American Falls. New York impressed Fritz with its Central Park, Brooklyn Bridge and its large St Patrick’s Cathedral and Trinity Church. After visits to Bremen and Spandau, Fritz’s postcards reveal a truly Grand Tour of Berlin, the Capital City of Germany, united since 1871. 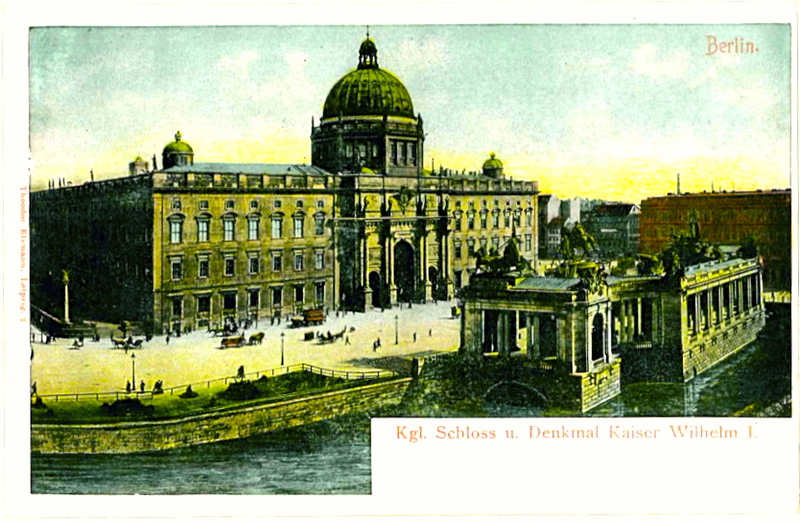 There was the Palace of Kaiser Wilhelm, the University, the Royal Library, the Art Gallery, the Royal Opera House, the Bismarck memorial, the Zoological Gardens, the popular Alexander Platz, the Court House and various other features. Such postcards easily arouse regrets today that so many of these magnificent buildings were damaged, with some completely destroyed, during and after the Second World War, including the Royal Palace. period of a few days. No doubt Fritz had heard about many these customs from his Wendish parents. His tour included visits to towns, which share many of the same features. They usually have their houses, small farms, post offices and church buildings. The large town have Town Halls, a Market Place, Government buildings, parks, churches and perhaps an impressive castle. Such small and large towns included Burg, Cottbus with its Branitz Castle and Tower, Jänschwälde, where the Noacks attended church services, Lehde, Lubbenau, Peitz, with its Lutherplatz and Werben, birthplace of Fritz’s mother Christiane Domaschenz. The Spreewald includes the section of the River Spree, which in this area divides into many small streams and divides up the land into small sections. 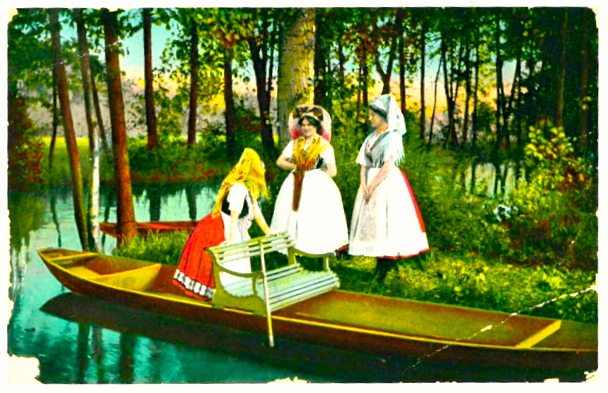 Occupations and activities depicted on Fritz’s postcards include fishing, cutting hay, carting the hay in boats for the cattle, spinning thread on spinning wheels, milking cows, going to church and festivals in traditional Wendish costumes and various other customs. Fritz included a visit to Hannover, which was the ancestral homeland of his wife Anna nee Georg, whose father Pastor Diedrich Georg, was at various times the Lutheran Pastor at Lutheran Churches at Emmaus, Eudunda and at Australia Plains, where he is buried. At Hermannsburg in Hannover was the Old Mission House and the Peter and Paul’s Lutheran Church. 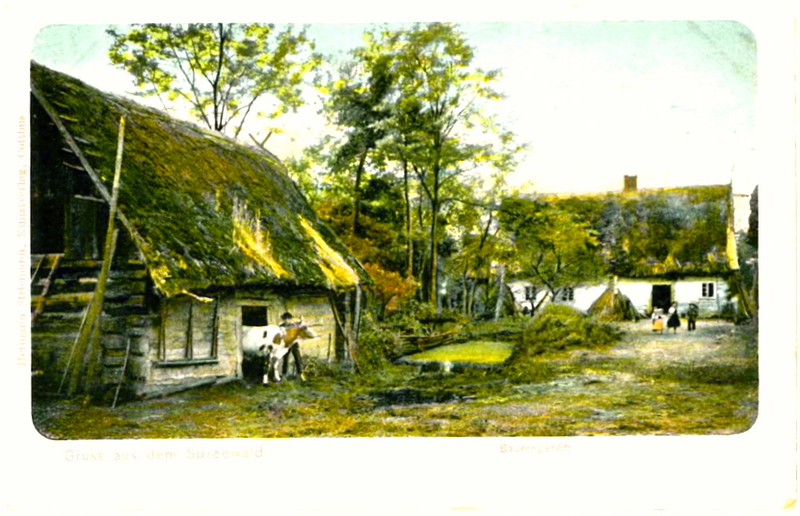 Other features included Volker’s Guesthouse and the Cross Church and a place of interest Lüneburger Heide. The visit to Celle revealed such features as the Town Hall called a Rathaus, a Castle, the Museum and Church Street or Kirchenstrasse. Cologne then presented Fritz with the magnificent Cologne Cathedral or Koln Dom and his visit to Bonn revealed the University and the Rhine Bridge or Rheinbrücke. Leipzig was the next destination and features included the Palm Garden, Johanna Park, Charlottenhof, Augustusplatz and the New Town Hall. His visits to the area along the River Rhine indicate the presence of many castles and fortresses such as Burg Lahneck, Schloss Rheinstein and Schloss Stolzenfels. Also apparent was a busy wine-making industry, which included the cultivation of the grapes and the making of the wines. The Winery at Auslese, with its vineyards and full barrels of wine, is well represented by very busy workers on the postcards. Frankfurt a. Main also had a Palm Garden to visit and Marburg displayed its University, Castle and its Pfarrkirche. As a Lutheran Pastor, Fritz Noack visited various sites relating to the Church Reformer Dr Martin Luther (1483-1546). Eisenach was home to Lutherhaus and to the nearby Wartburg Castle. A postcard presents a painting of Luther arriving at the Wartburg and another shows the room where Luther sang for Frau Cotta, wife of Kuntz Cotta. Students obtained pocket money for such singing or for exercising their vocal chords out on the streets. Crimmitschau was the next destination but Wittenberg received the special attention of Fritz. Wittenberg offered many glimpses into the life of Dr Martin Luther and Reformation features included the Schlosskirche or Castle Church, this Church’s door with the 95 Theses located at street level, the Stadtkirche or Town Church where Luther preached and Luther’s lecture room and podium. Basel in turn was home to the Missionhaus and Zurich in Switzerland provided a base for visits to the Majestic Alps, with their high mountains, deep lakes, steep railway lines like the Gotthardbahn, dangerous roads such as Axenstrasse, small villages and the very high Teufelsbrücke or Devil’s Bridge. This area gave rise to the famous Story of Wilhelm Tell, the opponent in the 1300s of Austrian bailiffs, who were charging travellers tolls, so that people could be protected and safely cross over the mountains. Tell Chapels, which have been erected to promote this story, help to recall the bailiffs command to Tell that he must shoot an arrow into an apple, which was placed on the head of Tell’s young son. Wilhelm Tell eventually killed this Austrian bailiff. Schiller’s play about Wilhelm Tell popularised this story in the early 1800s but some Tell scholars doubt that Tell ever existed, claiming that his official birth and other records have been forged. 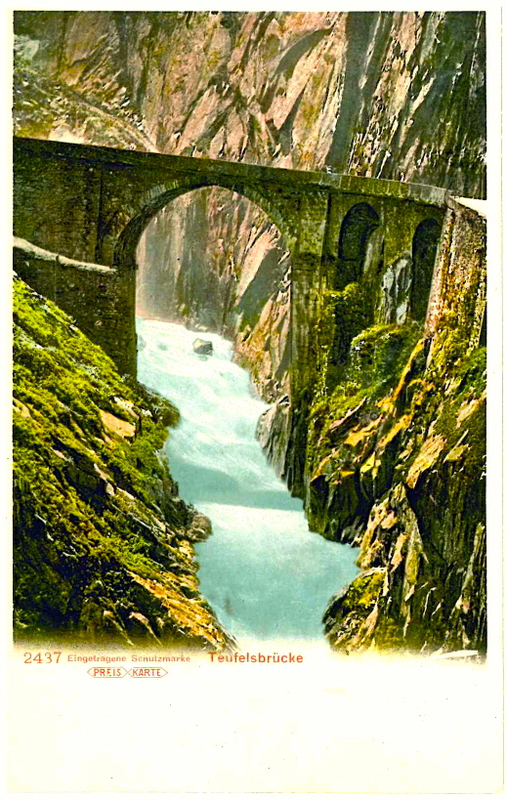 This tour of mostly northern Europe clearly fulfilled Fritz’s general cultural and particular family interests and this valuable collection of about 650 postcards no doubt provided him with many happy memories of his very full 1905 Grand Tour. The final leg of his Tour through Italy, Egypt, Arabia, and Ceylon will be featured in a future and final presentation of this Tour and its very valuable and historic postcards. These 650 postcards, which have all been labelled, can be inspected on the computers at the Wendish/Sorbian Research Centre, 27 Livingstone Street in Ivanhoe Victoria by arrangement and at the Lutheran Archives, 27 Fourth Street, Bowden, Adelaide, South Australia.